The Many Rantings of John: They're Making a Comeback! but who might still succeed? It happens every year, almost like clockwork. When the NRCC and DCCC start looking at different races around the country, whether through a lack of creativity or prodding from people who actually have their phone numbers, we see them rely on a certain type of person to run for competitive or not so competitive House races from across the country. Someone like them. Someone who used to be just like them. Every cycle, as reliably as anything can be in DC, former members of Congress run to try and return to their former glory...and most of the time, quite frankly, they fail. Already this cycle we've seen two former congressmen (Joe Baca in California and Brad Ashford in Nebraska) not be able to survive a primary, and five of the seven remaining former members still need to make it past both a primary and a general to win, so we have no idea how many former members of Congress will ultimately win a seat in the House. But though the success rate is relatively low for former members trying to win back seats, it's not impossible. Looking through the current halls of Congress you see people ranging from Brad Schneider to Steve Chabot to Colleen Hanabusa to Rick Nolan, all of whom won back their seats in Congress. I figured for this Friday it might be fun to take a look at the six remaining candidates attempting a comeback in Congress, and what their odds are of rejoining. I have listed below from least to most likely in descending order who I think is most likely to return and why they lost or left in the first place. 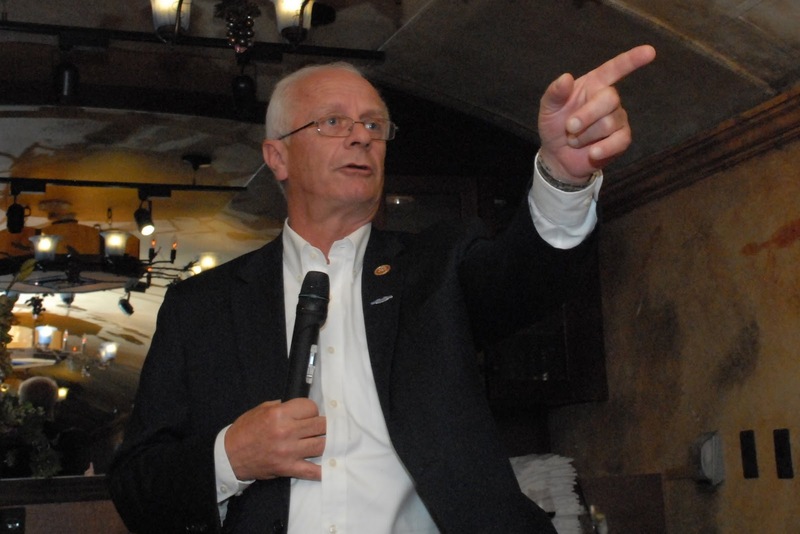 Where He's Running Now: Bentivolio is attempting to make yet another bid for his old seat after losing it in 2014 and 2016. Why'd He Leave Office? : The better question may be why he was ever in office to begin with. Bentivolio was a political gadfly (he famously had a career as a Santa Claus impersonator before he won his seat in Congress), and became one of the luckiest men in recent political history when Rep. Thad McCotter failed to make the ballot in Michigan, leaving only Bentivolio in the primary. McCotter's refusal to run as a write-in (and his later random resignation from the House) left Bentivolio an opening to get into the race against a third-rate Democratic challenger (notably, he lost the special election to complete McCotter's term to another "accidental" congressman, Dave Curson). Bentivolio was a strange fit for Congress, and had a bizarre history (he appeared in a weird film centered around 9/11 where he played George W. Bush's fictitious physician), and quickly lost a primary to Dave Trott the following cycle. Will He Return? : I can't fathom he could. The 11th is open thanks to Trott's unexpected retirement, but Bentivolio has to face multiple credible candidates for office to win this nomination (including three current or former members of the state legislature), and even if he were to make it through, it's doubtful he could win in a marginal seat for the general election against Democratic State Rep. Tim Greimel. He'll remain a footnote, and seems like the sort that will never stop running for political office. Where's He Running Now: Grayson's making a play in the 9th congressional district which he represented for several years, challenging the man who succeeded him, Rep, Darren Soto, in a primary. Why'd He Leave Office? : Well, Grayson's that rare person who's attempting a third non-consecutive term in office (non impossible, see also Carol Shea-Porter, and perhaps more likely, #2 on this list), so you'd have to look at both runs. 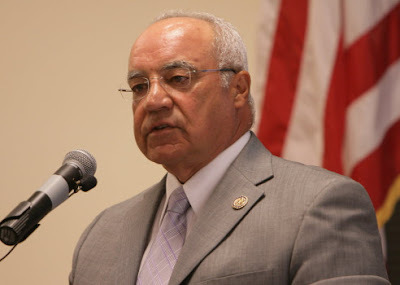 Grayson, a bombastic congressman, got swept in on the wave of 2008, defeating Rep. Ric Keller, and then after a troublesome first term in office, he quickly was adiosed in the Republican wave of 2010. After redistricting, however, he won a safe blue seat and probably could have had it as long as he wanted (as controversial legislators in easy seats frequently do), but instead he embarked on a quixotic bid for the Senate against Marco Rubio that ended with him getting smashed in the primary against his colleague Rep. Patrick Murphy. Since then he's been flirting with a number of seats for Congress, settling on the 9th. Will He Return? : No. 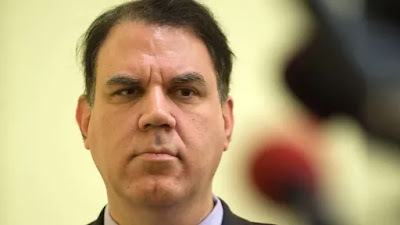 Grayson's hard for me to like but even putting aside my personal antipathy for him, there's no way he's defeating Soto, who is a relatively innocuous incumbent who has the party's full support in Florida. As a general rule, it's hard to win back your original seat without a different set of circumstances, even if you used to win there with strong margins, so this feels more like a vanity run for Grayson than one that could result in him winning. Where's He Running Now: Hardy is making a play for his now-open former district in NV-4. Why'd He Leave Office? : Hardy, unlike Grayson, didn't go out shooting for higher office but was just trying to keep his job. Hardy, like Bentivolio, was largely considered an "accidental" congressman, though admittedly he was never the gadfly that Bentivolio was. 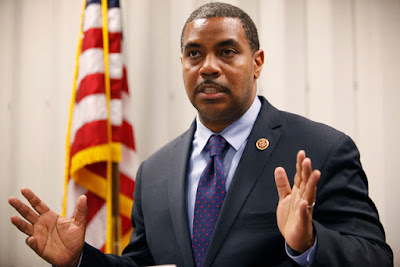 Hardy pulled off one of 2014's bigger political upsets by besting Rep. Steven Horsford (whom many feel was caught sleeping at the wheel) and then lost to a then-rising star Ruben Kihuen, who quickly became his own version of an "accidental" congressman when he was forced to retire in disgrace. Will He Return? 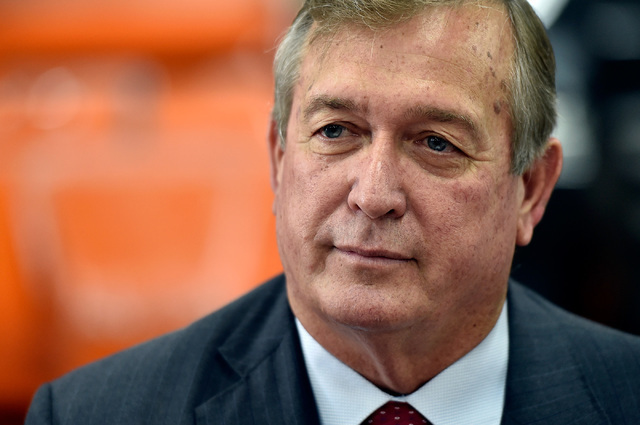 : There's probably no better circumstance than Hardy could have hoped for than having to run for his own, quickly open seat after the Democrat resigned in disgrace, but I still doubt it. This is a seat Hillary Clinton won by five-points, the DCCC kept Kihuen out of the contest, and this isn't 2014. Hardy's the best GOP could hope for, but that's not really saying much here. Where's He Running Now: Grimm's running in the primary against the man who succeeded him Rep. Dan Donovan. Why'd He Leave Office? : You want the short version or the long, threaten-a-journalist version? 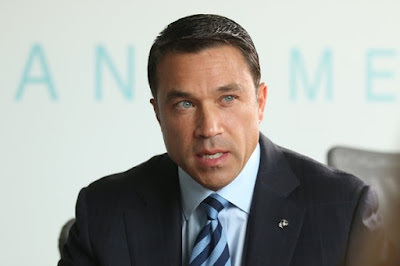 Grimm, one of the most shocking figures in New York politics during his tenure in office (that's saying something), threatened a journalist with violence, but was ultimately undone by his taxes, as he was sentenced to eight months in jail after resigning in disgrace earlier in 2015 from the House on the insistence of then-Speaker John Boehner. Will He Return? : It's hard to say. Grimm has actually led in some polling that has been released in the race, in one case by double digits, but it's hard to say if that's real or just name recognition in a poll. There are only a few weeks left until the federal primaries in New York, so we'll find out soon if he clears that first hurdle by dispatching Donovan (he's been running a mirror-copy of the Trump campaign, which could help in a district Trump won), but then he'll still have to win reelection in an Obama-Trump district against Afghan War Veteran Max Rose (the presumed Democratic nominee). Normally I'd assume this is unthinkable, but in the era of Donald Trump perhaps a felony conviction isn't a deterrent like it used to be (if you're a Republican). Where's He Running Now: Bright is running for his old seat, but under a different party banner than last time. Why'd He Leave Office? : Bright, a popular Mayor of Montgomery, Alabama, won in something of a miracle in 2008. Aided by a nasty Republican primary (State Sen. Harri Anne Smith endorsed Bright rather than State Rep. Jay Love who beat her in the Republican primary), Bright managed to ride the Obama wave and the general goodwill Democrats had in 2008 to win by less than a point a seat previously held by a Republican. 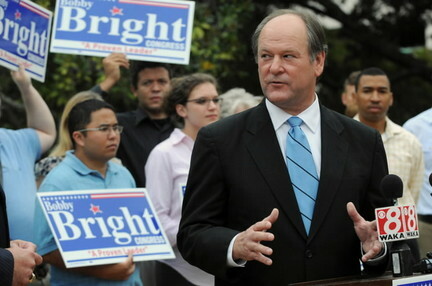 In 2010, Bright lost to incumbent Rep. Martha Roby in a surprisingly tight race (as a Democrat), with Roby frequently attacking Bright's vote for Nancy Pelosi as Speaker of the House. Will He Return? : It looks oddly promising. In a normal year a party-switching (Bright changed parties earlier this year publicly) former Democrat who cast a vote for Nancy Pelosi would be DOA against an incumbent Republican congresswoman, but Roby made a lot of waves in 2016 when she publicly stated after the Access Hollywood video that she would not support Donald Trump for president. Bright has made this a huge issue in the campaign, in an inverse of 2010 running to Roby's right this time, and Roby is not popular here (she had an oddly tight election in 2016 mainly from people going third party rather than support her due to her non-endorsement of Donald Trump). After Mark Sanford lost for not sufficiently supporting POTUS, it's quite possible that Martha Roby suffers the same fate when the runoff happens in a few weeks, thus bringing Bright back nearly a decade later under a different party banner. Where's She Running Now: She's running for Arizona's 2nd district, a neighboring district to the one she previously held. Why'd She Leave Office? : Like Alan Grayson, Kirkpatrick has served two non-consecutive terms in office, and she left office in both cases for the same reason. In 2010, Kirkpatrick lost to Paul Gosar. 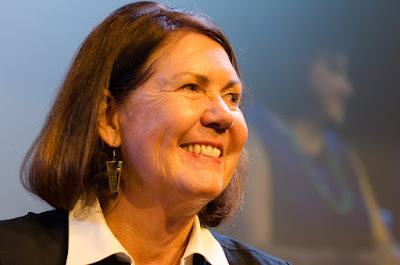 After redistricting, however, Gosar got moved into a different district, and the 1st became much bluer, leading Kirkpatrick to win two more terms there before starting an ultimately quixotic bid for the Senate in 2016 (at the time it looked like John McCain might retire, making her a very strong candidate for the general, but when he didn't, Kirkpatrick ended up losing in a spectacular fashion). Will She Return? : Probably, or at least I'd call her the favorite right now. The 2nd district is new territory for Kirkpatrick, but it's considerably bluer than she's dealt with before and with it opened up (Rep. Martha McSally is leaving to run for the Senate), it's an open Clinton-district. Since 1994, no political party has successfully held an open seat the out-of-power party won in the previous presidential election, meaning that Kirkpatrick's loss would be precedent-breaking. She's still got to make it through the primary (State Rep. Matt Heinz is running a brutal campaign that probably won't work in a year where women are out-performing in competitive primaries), and the general, but I suspect that Kirkpatrick is a comeback that's going to happen. Where's He Running Now: He's running for his old seat, the 4th district, four years after he lost it. Why'd He Leave Office? : In the shock of 2014, first-termer Steven Horsford (whom most people had assumed was an easy win despite the national environment) lost in a surprise from Crescent Hardy, who would go on to lose two years later. At the time, many people criticized Horsford for not running a tough enough campaign, though there were some (the Congressional Black Caucus, for one) who said that the DCCC dropped the ball on Horsford in not supporting enough the only black congressman who was in a tough reelection race. Will He Return? : Almost certainly. Like Kirkpatrick, he's running in an open seat that Hillary Clinton won last cycle, and he is running a more aggressive campaign this cycle than he did in 2014. Hardy obviously beat him previously, so I don't think he'll be taking any chances, but considering the dynamics of this race, the tilt of Nevada, and the wave-potential for the left in 2018, it looks like Hardy, and not Horsford, will be the one remembered as a "one-term wonder." I have a love of Oscar-viewing, adventuring, politics, Broadway, and Prince Harry. My blog should celebrate all of these, provided there isn't anything good on television.